Has Matéo Maximoff's book Die Ursitory been translated to English? 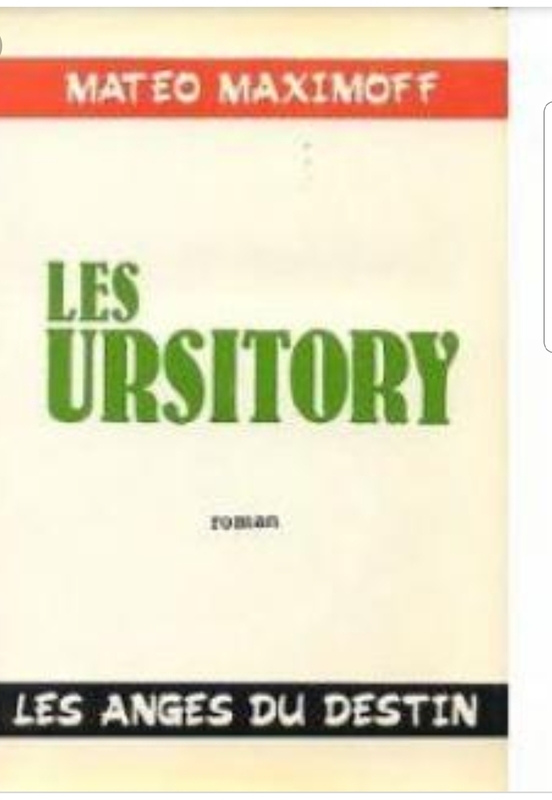 I've been unsuccessfully searching for a book called Ursitory by Matéo Maximoff. From what I have gathered so far, it seems to only be available in German (Die Ursitory) and in French (Les Ursitory). Please, if anyone has any knowledge on where to purchase or rent an ENGLISH version, I would be very grateful. I (THINK) it was written in 1954. Some libraries holding copies of the English translation are listed here. Depending on where you live you might be able to visit one of them, or ask for an interlibrary loan. The Wikipedia page gives some info about the author. Not the answer you're looking for? Browse other questions tagged language book german folklore or ask your own question. Has a book ever caused the ousting of a dictator? Has any other book in history been as “prescriptive” as Mein Kampf? Good Introductory World History book? What was the first book translated from Japanese to any of the European languages? A book collating world events? What kind of book is “Evangelium de transitu Mariae”? Is (or was) there a version of the Maltese Cross with the right arrowhead missing? Does it have a name?